Matching the furniture with the wall color for your choice is always a challenge. And the process can go both ways. You can choose your favorite colors for the walls and then shop for matching furniture or start by buying the furniture you love and leave the painting on second place. Here are some guidelines on how to match colors in your living and bedroom, to get the look and feeling you want. 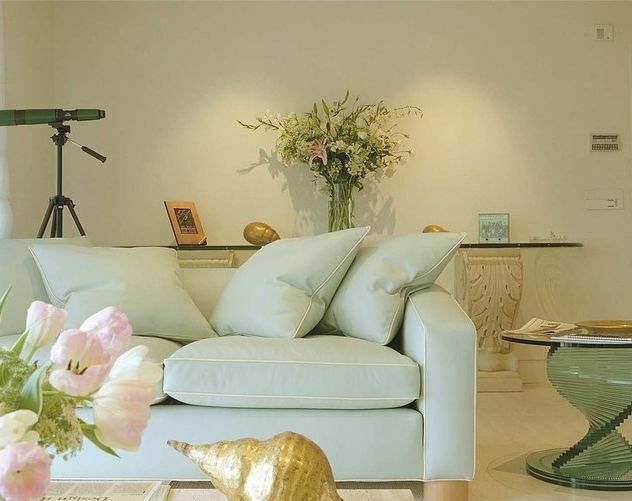 The sofa is the center of any living room, the furniture piece around which the whole decor is being created. It’s why it has to perfectly integrate in the room and the color is very important. 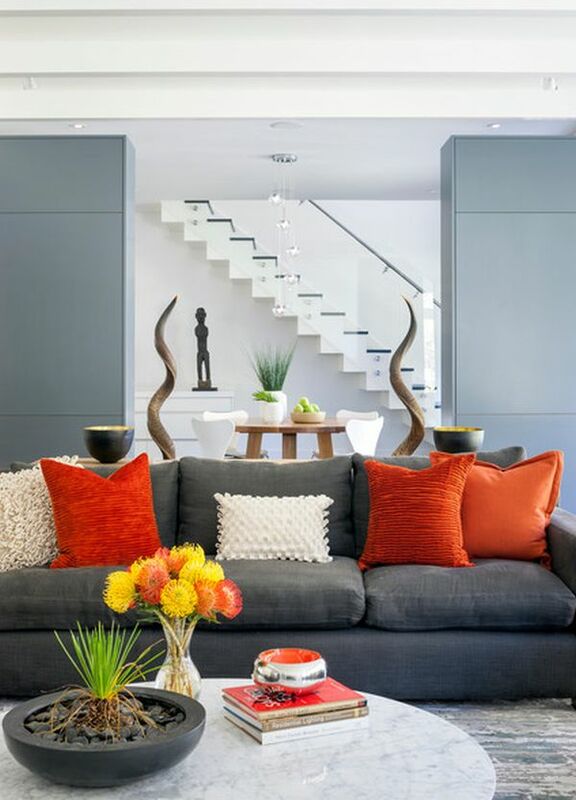 Here is an example of a sofa that seamlessly fits into the living room’s decor thanks to it’s color. For a room with beige walls and transparent and bright pieces, this pale shade of pastel green, almost white, seems the perfect match. 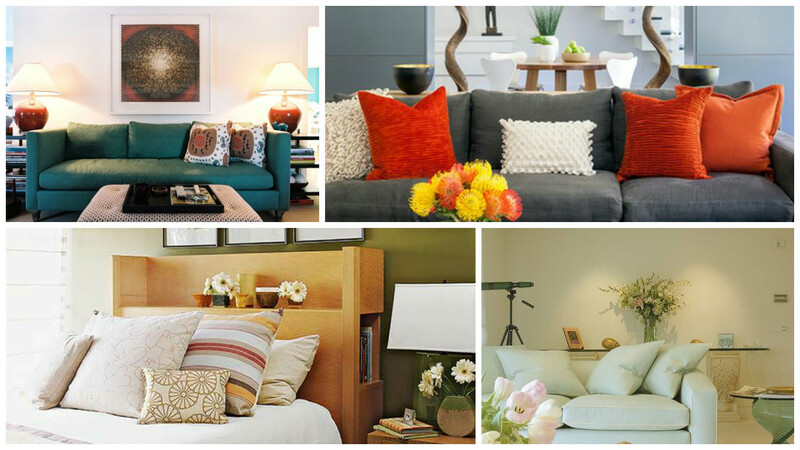 In a decor that needs to feel relaxing, color is usually not used to its fullest. In this contemporary living room we have a very simple and neutral color palette featuring shades of white, beige and grey. 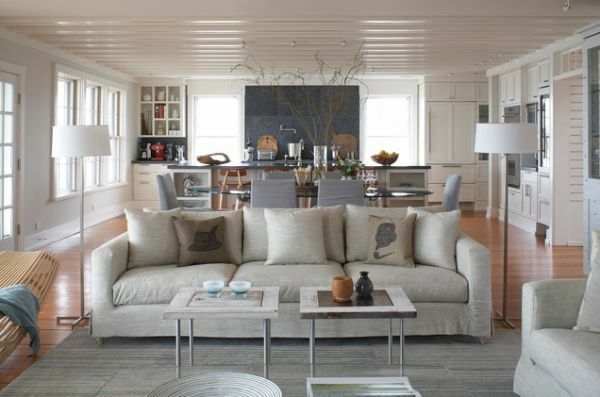 The sofa is an off shade of grey and has two beige accent pillows that stand out in a very subtle way. 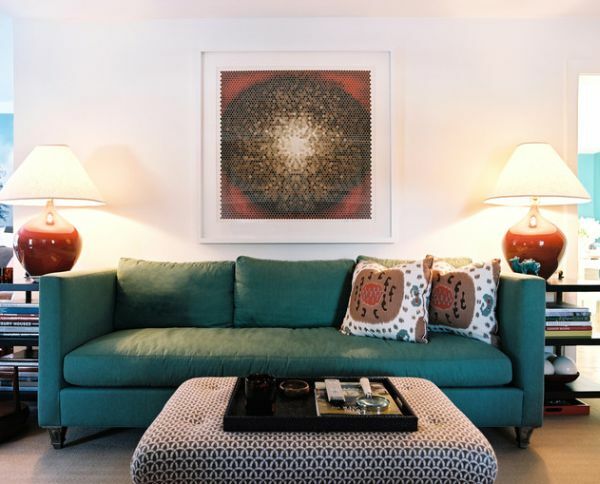 If you want the sofa to really stand out, you will choose a stronger shade, like this emerald green, and a complementary accent shade, like the warm, cheerful red on the lamps and the painting above the sofa. You can also match your colorful sofa with something for coherence. 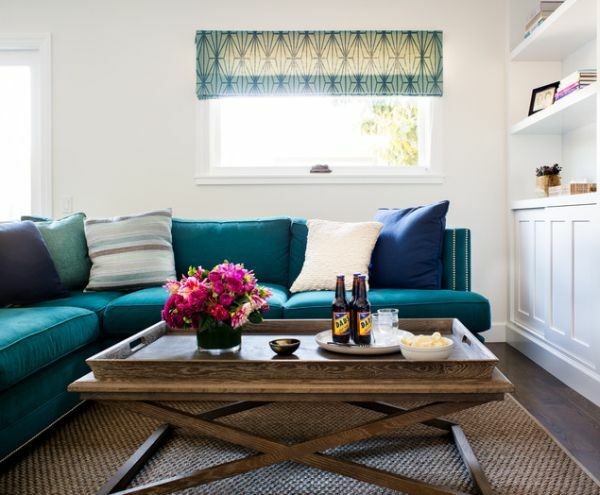 This beautiful turquoise sofa coordinates with the window shades, although the sofa is more vibrant. The sofa itself can blend in as long as it has accessories that make it stand out. A very simple and popular strategy is to choose a sofa in a color that’s similar to that of the walls or the main color used in the room and to decorate it with accent pillows in one or more bold and vibrant colors. 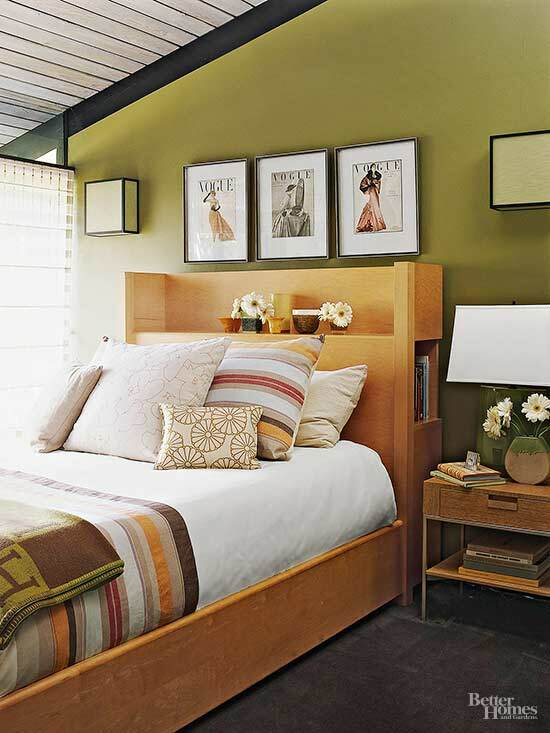 Color preferences are entirely personal, and you should have your favorite color around, especially in your bedroom. But when you’re choosing background colors for furniture, you may find that some do a better job than others of bringing out the natural beauty of wood. The warmth of honey-toned pine wood shows up well against a medium green. Intense, bright blue brings out the wood’s orange tones, but you have to love high contrast to live with this much bold color; the contrast could seem harsh. Yellow brings out the wood’s orange and yellow tones and emphasizes an overall warmth, but it doesn’t enhance the wood.